EATECH - Is he going to fly ? 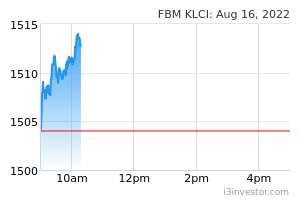 Perdana share price has fly 50% upwards yesteday and close at 45sen. While EATECH which is in the same business nature as Perdana is just only trading at PE 3, at price 0.46sen only. In fact, at 46sen, EATech is trading almost at the 5 yrs low. 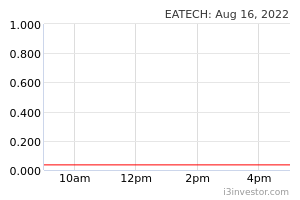 Will EATech catch up today ? PublicInvest has gave the TP 73sen and maintain outperform on EATech. This is very undervalue oil & gas counter and going to boom soon. kalteh Revenue increase dramatically in last qtr and losses were made only due to reversal of one off impairment. Barring that one off impairment, next qtr likely to have huge earning improvement! speakup wah lau, suddenly EATECH is a Dayang peer! EATECH peer is ALAM & ICON lah! All those 3 are OSV support.